HR, the best job in the world – Fact! In 1991 I had a bit of a shock to the system. I had a part time job through GCSES and A levels. It was a Saturday job, many of us had them, and mine was at our local DIY shed, Texas Homecare. Back in the day, Texas Homecare was packed each weekend with DIYers buying paint, furniture, gardening gear and DIY items. I was on the checkouts or if I was unlucky the Customer Service Desk, 9 a.m. to 6 p.m. each Saturday. Whilst doing A levels I was more interested in boys than studying. It’s not really changed that much in nearly 30 years! I was shocked to discover I wouldn’t be able to ‘wing’ my A levels and I left 6th form with 2 pathetic D’s an N and a U.
I needed a solution and fast. The answer came in the form of a management training scheme that my General Store Manager, Brian put me forward for. Thanks Brian. By the October of 1991 I was a Management Action Programme trainee (MAP for short) and along with 9 other trainees I embarked on a Certificate in Management from Oxford Polytechnic whilst working full time for Texas Homecare as a Trainee Manager. By the Winter of 1992 I was working my way round the West Midlands in different stores. I found myself in Haymills in Birmingham. I was managing the Decorative Department. I had a stint in the Cash Office where I discovered I couldn’t add up when I mistakenly couldn’t find £3500 in cash I’d never had. That was a stressful day I can tell you. I needed to order some creosote for an ‘end’. I wanted one pallet. Then when it came I had over ordered and now had 20 pallets down the centre of my store. This was not the wall of white paint that the General Manager wanted. Funnily enough I was rapidly took off the shopfloor and found an office role as a Trainee Staff Manager in Sutton Coldfield. Best move ever! I fell in love with HR. Our regional Staff manager sponsored me to start my CIPD studies and the rest as they say is history. By 2004 I decided that now was the time to break free from the corporate world and build my own independent HR consultancy to work with clients who were too small for their own HR Department. Having stumbled across a copy of the RSPB Handbook, Redwing Solutions was born. The Redwing is a little bird, the same size as a Thrush, a winter visitor to our shores. Thrush Solutions wouldn’t have really worked! I didn’t realise that demand for friendly, HR Consultancy, support that didn’t tell employers off, and didn’t tell them what they were not allowed to do, would prove very popular. “It was only meant to keep me out of trouble!”. Today, Redwing Solutions works with clients across the country, in all sectors, from Arts organisations to heavy industry. Some clients remain too small for their own HR Department which is why they outsource to HR Consultants, others have their own, but like working with independent HR Consultants who can support their HR teams. 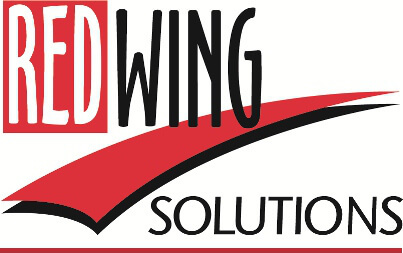 Redwing Solution’s specialise in HR for Early Years supporting Day Nurseries, Pre- schools and Out of Hours clubs.